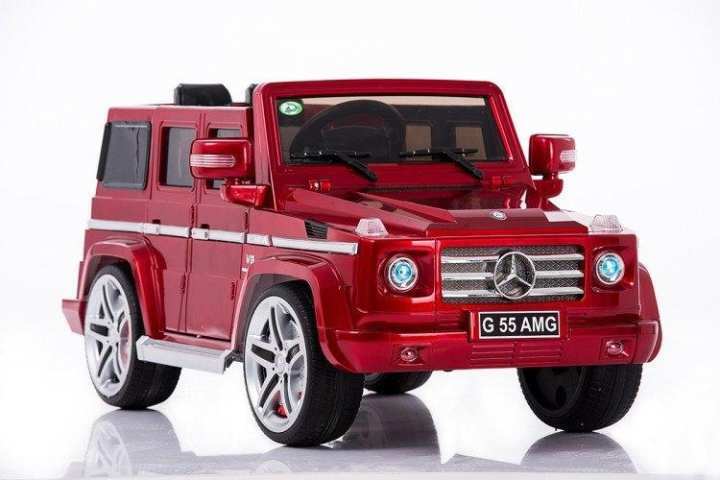 The AMG Mercedes G55 Ride On RC Luxury truck from The Toy Store is on our Nice List all year long. It's bold, tough and ready to thrill. Excitement is just around the corner, simply twist the included AMG key and this tuned 12V twin motor ride on SUV roars to life just like the real thing.